Bayer MaterialScience has decided to stop its work on carbon nanotubes (CNTs) with intends to focus its development more intently on topics that are closely linked to its core business.How the research results and knowledge in production and application of CNT will be used will be determined later. “We remain convinced that carbon nanotubes have huge potential,” says Patrick Thomas, CEO of Bayer. It has been found, however, that the potential areas of application that once seemed promising from a technical standpoint are currently either very fragmented or have few overlaps with the company’s core products and their application spectrum. 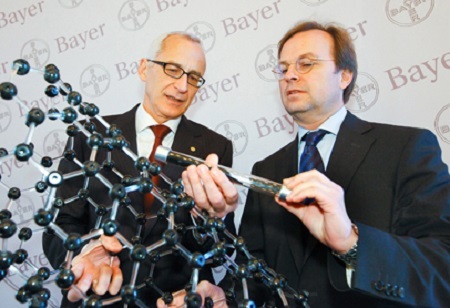 Bayer says its researchers had collaborated with external partners in recent years to resolve complex issues related to the safe production of specific carbon nanotubes. Methods for scaling up the production processes were developed, as were new generations of catalysts and new types of products.